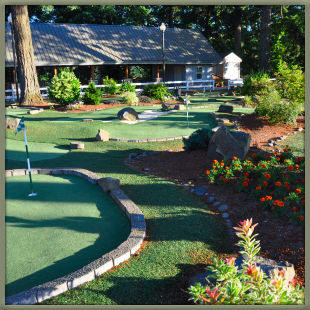 Play 9 or 18 holes on the Golf Course, then play the putting course for only $3!! Call for more information about large parties, catering and pavilion usage. Our newest addition features sandtraps, sneaky breaks and undulations that will challenge even the best putters with 18 holes of fun in a relaxed and beautiful setting under stately fir trees. 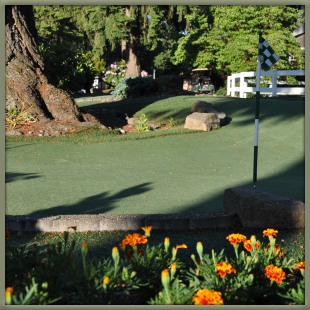 The course is open to all ages, we have putters of all sizes available, so this course is a favorite of kids and families. 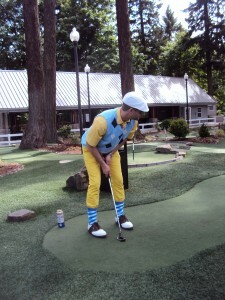 Whether it’s Business or just Family Fun, Sah-Hah-Lee Golf Course is the perfect way to bring people together. It’s ideal for everything from birthday and anniversary parties to corporate outings.